There are hundreds of combinations of motors and controls, gearing and outputs available to create a tool customized to fit your needs. Below is our American Assembly Tools (ATT’s) nutrunner model number wizard. As you make you’re your customized selections, a product code will be built for you. The comment section should be used for additional sales information and/or questions. 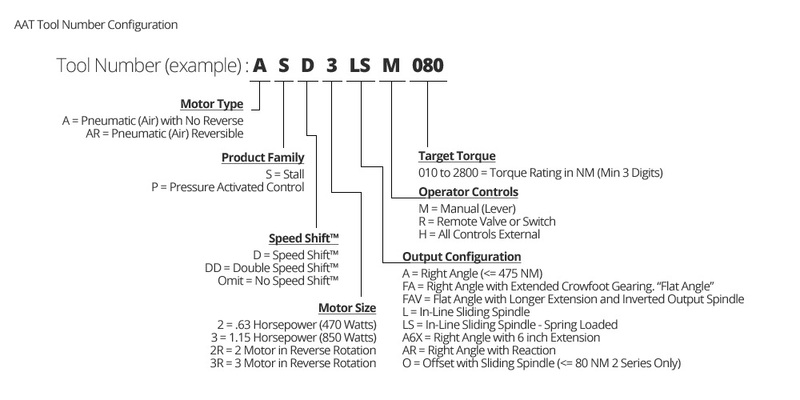 The nut runner product wizard will allow you to select options related to the motor type, cycle shut off control, speed shift, motor size, output configuration, operator controls, rated torque range, and transducer.